which is a hand-printed design studio in Singapore. 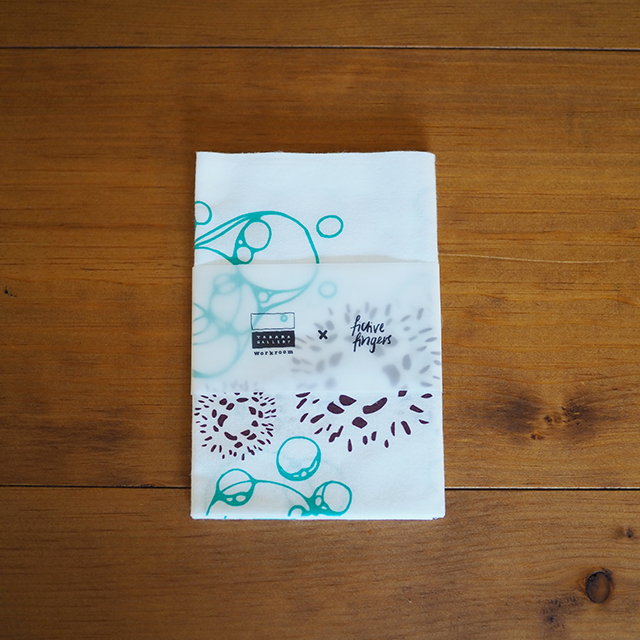 The Tenugui combined the water elements from Gujo by Takara Gallery Workroom and　mimosaflower from the hometown reservoir in Singapore by Fictive Fingers. 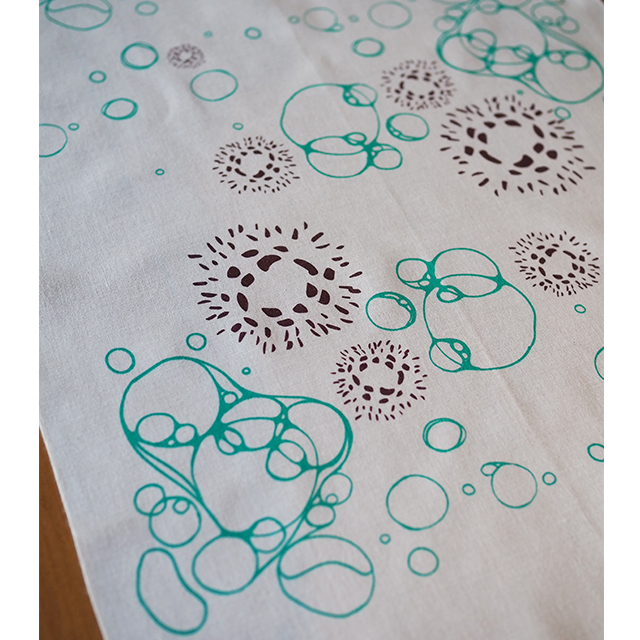 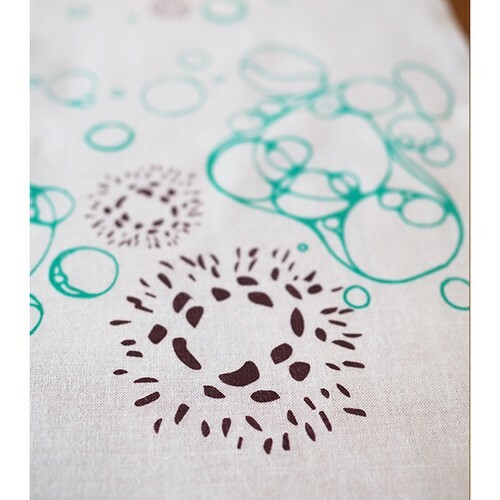 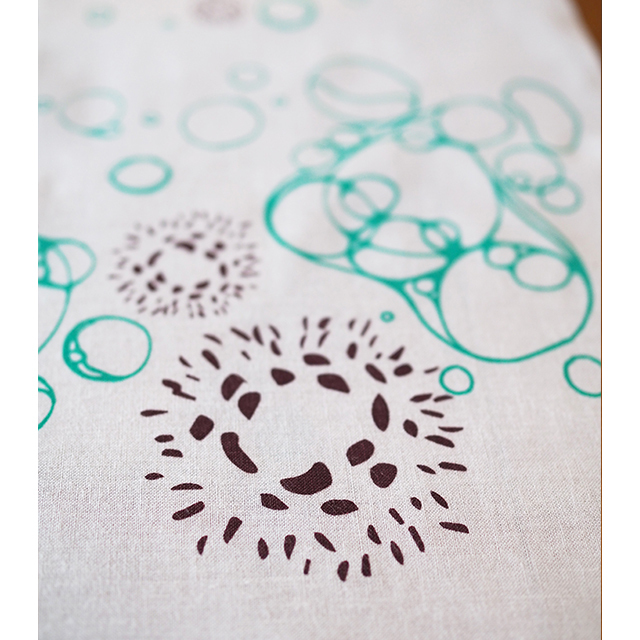 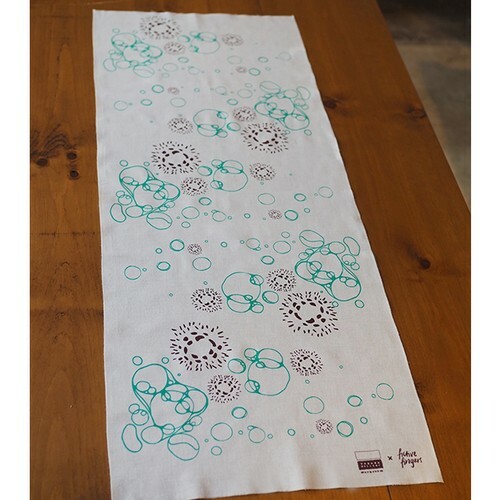 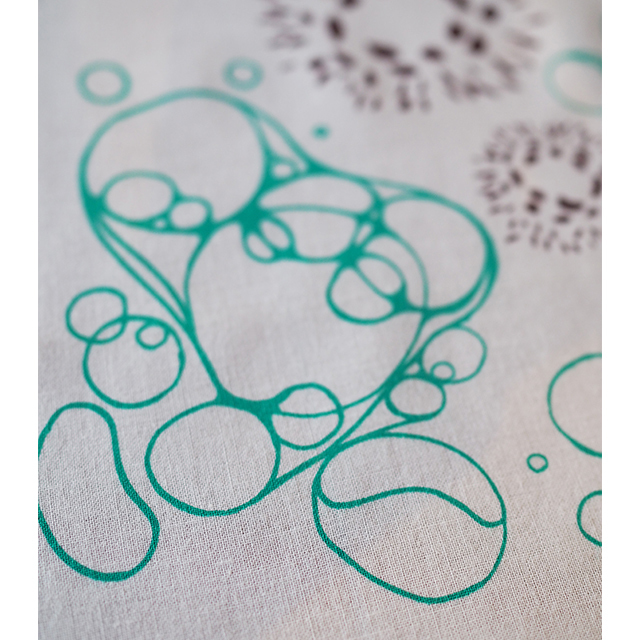 ※Any new TENUGUI has frays on both ends and you can cut them with scissors. After 2 or 3 washes, the ends will stop fraying, and you'll be left with a fringe at each end of the TENUGUI. 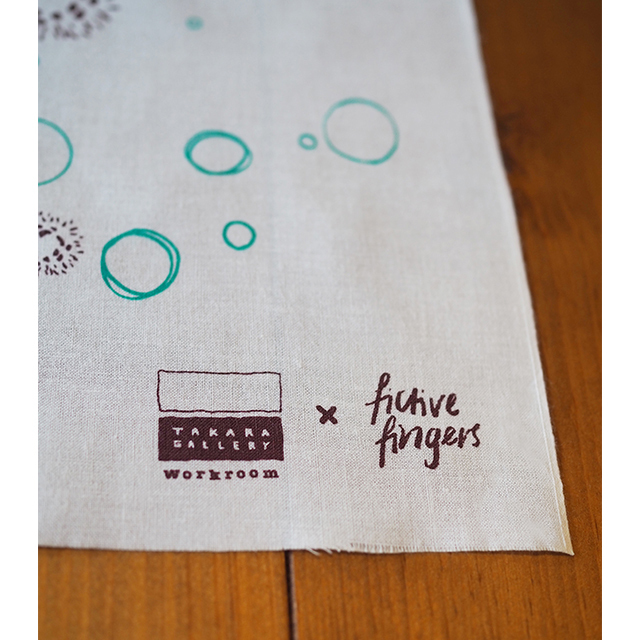 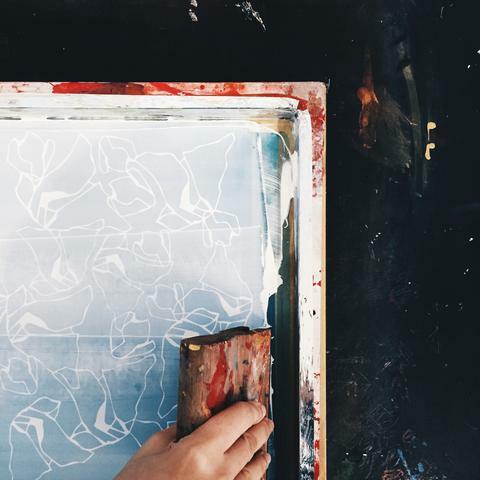 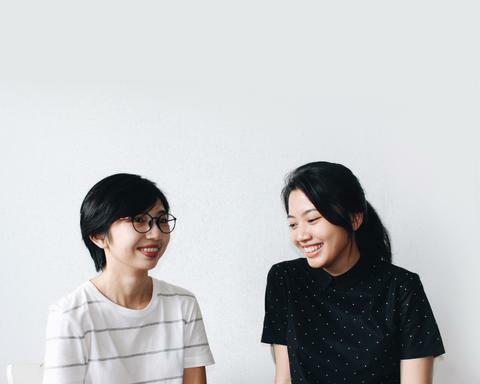 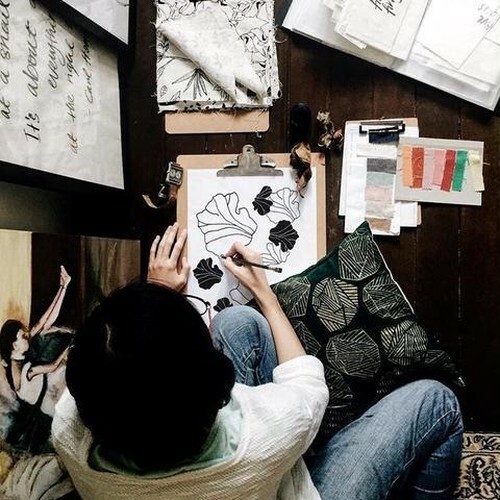 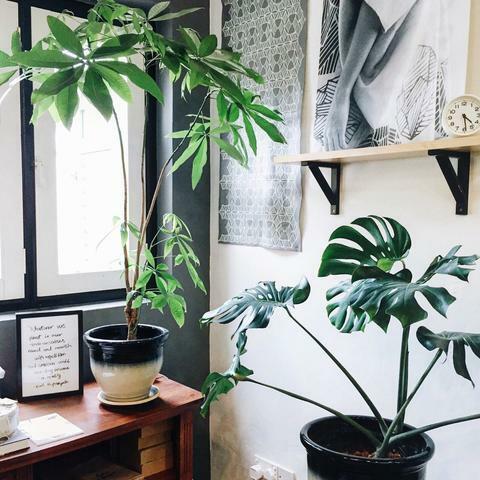 Fictive fingers is a hand-printed design studio, which is co-founded by two sisters in Singapore. They made every product by their own hands using self-printed fabric as they believe using the traditional methods to create will result in better designs in which digital methods are not able to.